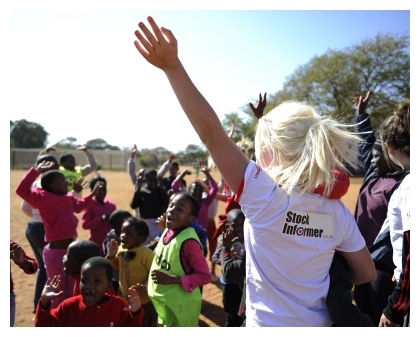 Stock Informer was proud to sponsor the Bristol City Community Trust pre-season tour of Botswana. 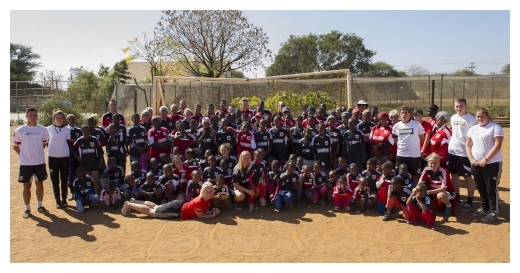 During July 2014, the charitable arm of Bristol City Football club accompanied the first-team squad on a 10 day trip to Botswana to conduct local community work. 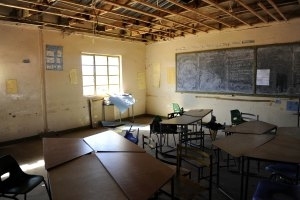 After a brief rest from the long trip, the group of volunteers were firstly split into groups and over three days visited local Botswana primary schools supporting teachers in the classroom and leading training sessions after school. Day 7 saw the whole group visit an orphanage which homes 150+ children ageing from 0 to 14. Football and cricket activities were conducted in the playground with singing, dancing and generally giving the children much needed attention. Bristol City shirts were left for the staff and children with the playing equipment also left behind. The volunteers were again split into 3 groups on day 8 which saw them renovate two orphanges whilst the third group organised a football tournament in a deprived area of the capital Gaborone. Local TV interviewed a couple of the volunteers and over 150 spectators watched. The day ended with full football Kits and footballs being donated. Day 9 and the volunteers visited the Mochudi Blind Centre. Part of the day consisted of renovating the dining hall whilst later in the day the group spent time playing football. The footballs had bells incorporated within them so the children could sense where the ball was. In between these activities the volunteers had time out to visit a game reserve safari and watch the Bristol City first team play two matches at the national stadium. One against the Botswana national team and the other a top local league team. The end of the trip saw the volunteers and players visit the British Embassy for a reception with the British High Commissioner. Just a very brief summary of the trip but a wonderful effort by the volunteers who are already looking forward to the possibility of returning next year. Want to receive quicker stock notifications?